Great for beginners. 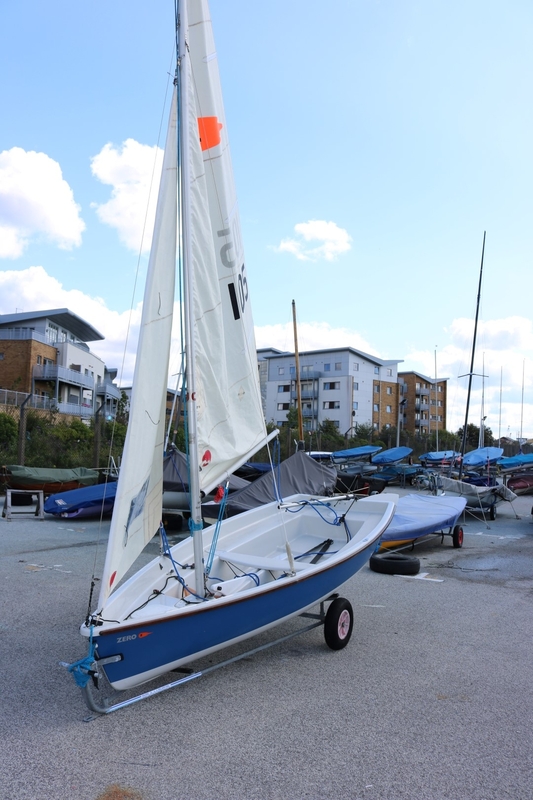 A handy size and light weight, the new Zero can be sailed and enjoyed by everyone. Comfortable, roomy and uncluttered, the standard Zero is beautifully simple with a stayed mast and single sail. A pivoting centerboard is a lot more forgiving than the daggerboard usually fitted to small dinghies. All round “sit in seats” and a low cockpit floor give a great feeling of security, compared with some other beginners dinghies. An optional furling jib and the addition of toestraps raise the speed and excitement.